Who Offers Manufactured Home Insurance? 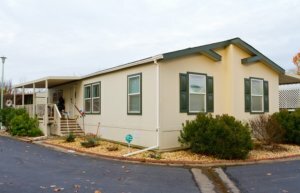 If you have done any research at all you may be wondering, who offers manufactured home insurance? There are basically 6 companies that offer manufactured home insurance, but only 5 that understand the ins and outs of manufactured homes and offer specialty coverage for Manufactured home. Unfortunately many customer are left wondering who these companies are as they don’t spend millions on Super Bowl ads. Foremost – These guys have been doing manufactured home insurance for a long time. In fact, they claim to be the first to have an insurance policy for manufactured home. Foremost is based out of Michigan. They have been in the business for a long time and know the ins and outs. They are a part of the Farmers family of companies. American Modern Insurance Group – These guys have been around for a long time and Manufactured Home Insurance is their bread and butter. They are based in Cincinnati Ohio, have excellent rates in most states, and address the major coverage issues that manufactured homeowners face. They are apart of a huge multinational corporation called Munich Re. Aegis – Aegis is a relative new comer to this space formed in 1977. They are based out of Pennsylvania. They are financial strong and have a specialty policy. They have recently made some changes to make their products more competitive and have policies very similar to the other specialty companies. American Reliable – American reliable has been around since 1952. Based in Scottsdale Arizona, they specialize in manufactured homes and specialty dwellings (rental properties). They have some very unique offerings with their manufactured home policies. In addition to the standard specialty stuff they also offer coverage like service line, and other things that are more like what you might see offered on a standard homeowner’s policy. American Reliable is a member of a bigger company called Global Indemnity. Assurant – This is the company that Progressive and GEICO use in many states for manufactured home insurance. They do offer some coverage designed for manufactured homeowners, so like any of these companies be sure select it, otherwise your coverage can be lacking. Assurant is a large publicly-traded company. Others – Yes there are others. In some cases, and states companies like State Farm, Farmers, Allstate, Metlife, Safeco and other MIGHT offer manufactured homes. Usually there are lots of limitations. For example, the home may need to be brand new to qualify. In other cases the companies don’t allow homes that have additions, or sun rooms. In the other cases they require specific type of foundations. In some cases, these limitations limit coverage, and while in some cases the coverage MIGHT be better for the most part you will be better off purchasing coverage from one of the 5 specialty carriers. Gila Insurance Group, as a broker actually represents 5 of the 6 manufactured home markets available. For example, we work with Foremost, American Modern, Aegis, American reliable, and in some rare cases can help you get coverage through a Safeco or another standard homeowner’s insurance. So, there is no need to run all over the place getting quotes, you can actually get coverage from 1 place, Gila Insurance Group LLC. Start Your Quote Online Now! https://www.gilainsurance.com/wp-content/uploads/2018/07/logo-300x54.png 0 0 Derek Kartchner https://www.gilainsurance.com/wp-content/uploads/2018/07/logo-300x54.png Derek Kartchner2018-11-08 12:49:192018-11-18 21:18:38Who Offers Manufactured Home Insurance?